Take two minutes in a Shark Tank type of environment to promote your idea. 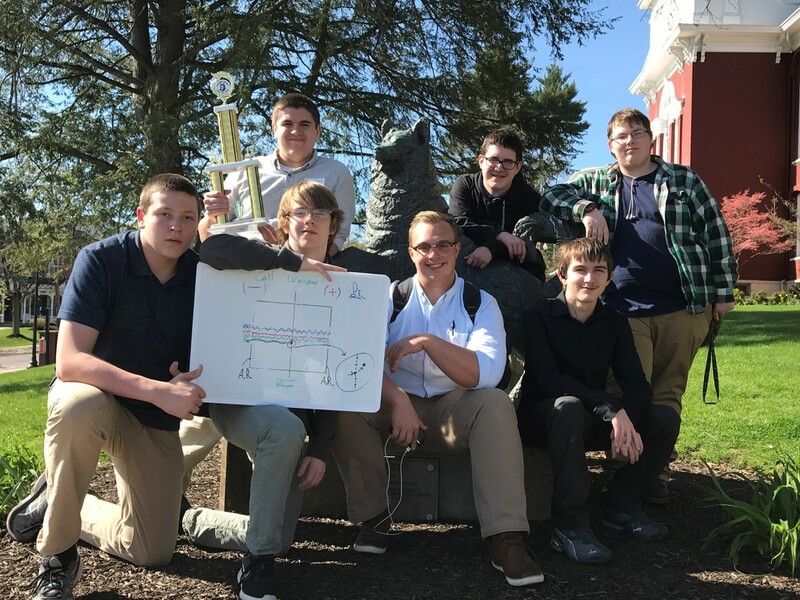 Recently Clearfield Area High School had two teams compete at Bloomsburg University. Of the fifty plus high school teams, Clearfield took first place earning the team a $1,000 scholarship. Great work by a great team! The winning idea was the generation of electricity as UV light passes through glass.